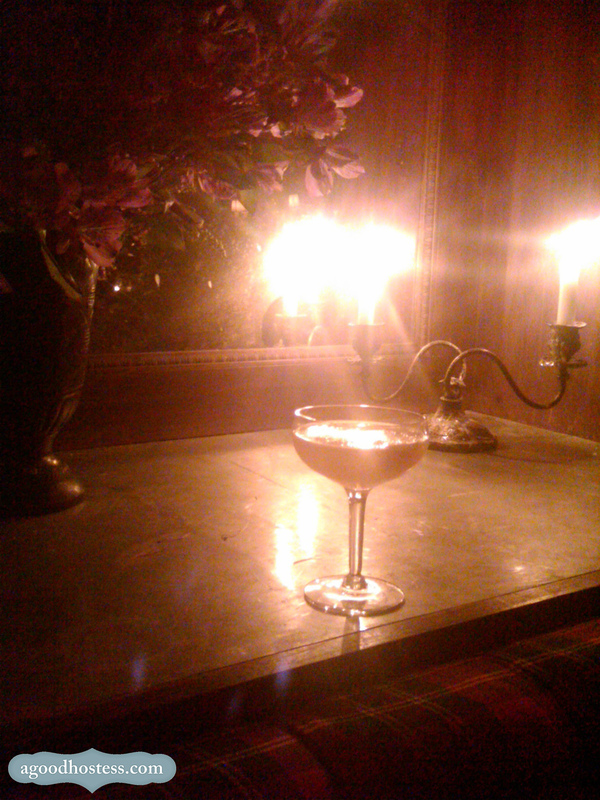 I ventured down to the Lower East side for a friend’s birthday this weekend and had a delicious drink called “The Lady of the Lake” at Mary Queen of Scots (corner of Allen & Delancey). A mix of house-infused heather vodka, lemon, honey and lavender (my favorite!) bitters with a slice of lemon rind as a garnish, it topped off my view of Alexander Skarsgard mingling with a gaggle of models, Lily Cole amongst them. Aside from the amazing tufted tartan banquettes, Tudor-style wall moldings painted white and antiqued mirrors, the bar also showed deference to the its namesake’s country of origin with an appropriate selection of whiskeys. Next time I go, I’ll definitely be bringing my Scottish brother-in-law with me to round out the Scottish experience. Whoaaaa! Must go there. Get some chow at St. Andrews in midtown & head to MQOS! Thanks, Ladies!